Binance is arguably one of the most popular and utilized cryptocurrency exchange to date, boasting one billion dollars in daily trading volume, which is quite impressive considering its launch in July of 2017. Besides the fact that there is a seed fund supporting the ecosystem, a platform designed to promote the development and launch of crypto projects, and an academy that provides more information about the blockchain and crypto space contained within the platform itself, one of the most defining features that has helped the exchange to thrive is the use of their own cryptocurrency known as the Binance Coin (BNB). Many users who are interested in the platform may not know enough about this coin, however, and would like to learn more about what it is and what its use entails before becoming a trader on the platform. In this article, we will take a look at what the Binance Coin is and how it functions to provide you with a better overview of the asset before you start investing. 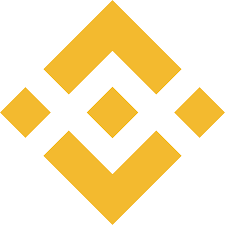 The Binance Coin (BNB) is a coin utilized solely on the Binance platform that runs on the Ethereum blockchain and meets the ERC20 token standards. Using a proof-of-burn mechanism, the token was released with a supply of 200 million but was designed in mind to leave only 100 million BNB left in the ecosystem. At the time of writing, the Binance Coin is valued at an impressive $19 per coin and can be used for a variety of different operations both inside and outside of the exchange. We will cover these various use cases in the following section. ● The Binance Coin can be utilized as a way to pay for a majority of the fees on the platform such as exchange fees and listing fees. Using BNB as a way to pay for fees gives you a significant discount, with 50 percent off trades the first year, 25 percent off trades the second year, 12.5 percent off trades the third year, and 6.75 percent off trades your fourth year using the exchange. ● The ability to use the cryptocurrency on Crypto.com with services such as their mobile app or the MCO Visa Card. ● The purchasing of virtual gifts on the Uplive platform. ● The use of BNB as collateral for instant crypto loans on the Nexo platform. ● The use of BNB as the mechanism that keeps the platform running, with incentive to hold for additional voting power in the system and referral bonuses. As can be seen by the strength of the exchange, the price of the coin, and the many use cases that the Binance Coin can be applied to, it is clear why it has managed to succeed thus far. Given the rapid success of the Binance exchange, the incredible growth of the exchange’s coin, and the versatility of the asset, the Binance Coin seems to be a viable investment insofar and it appears as though it is here to stay, maintaining its position as one of the more valuable and high-ranking cryptocurrencies on the market. If you have been looking into utilizing the Binance exchange and investing some of your money into their asset as well as the other assets listed on the exchange, the brief description above should give you a better description of what you will be investing in and how it will be utilized. Trakx will implement the same model as Binance for its TKX token. Disclaimer: This is not investment advice, please conduct your own research and due diligence before deciding to buy a crypto-asset. Cryptocurrencies are highly risky. Trakx is building a one-stop shop for Crypto Traded Indices. Discover more about our project on our website and social media channels, such as Telegram http://t.me/trakx_io.